This is Misfit, Queen of the farm colony. She has a bossy attitude which causes the other cats to keep their distance from her. She often dominates the food, growling and swatting at cats who come to close to the pile she has designated for herself. 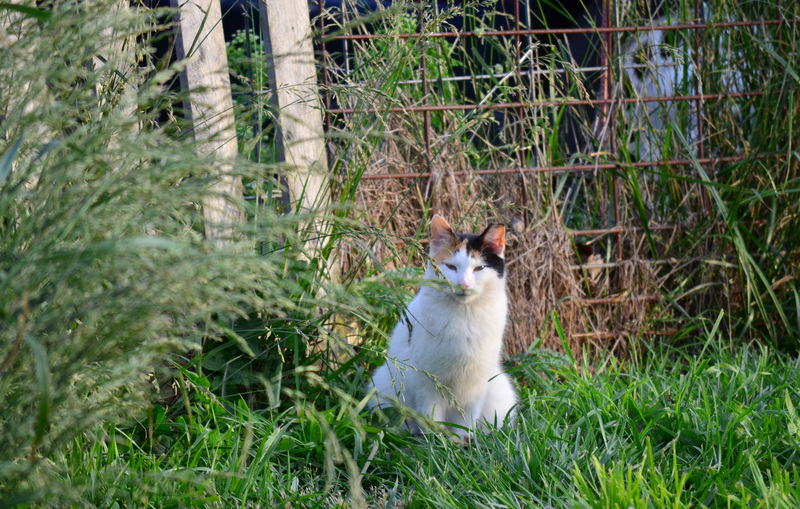 Despite her antagonism towards other cats, she loves the farmer and often watches her as she mucks out the stalls or works in the field.